Manchester City's first league defeat of the campaign probably says more about their opponents, Chelsea, than it does Guardiola's crew. Without Kevin De Bruyne, Sergio Aguero and Benjamin Mendy, they marched into Stamford Bridge and dominated the first half, only to be punished by Eden Hazard's quick thinking, N'Golo Kante's finish and Leroy Sane's brief daydream. The goal allowed Chelsea to tighten up further and play on the counter even more; they added a second through a David Luiz header later on. 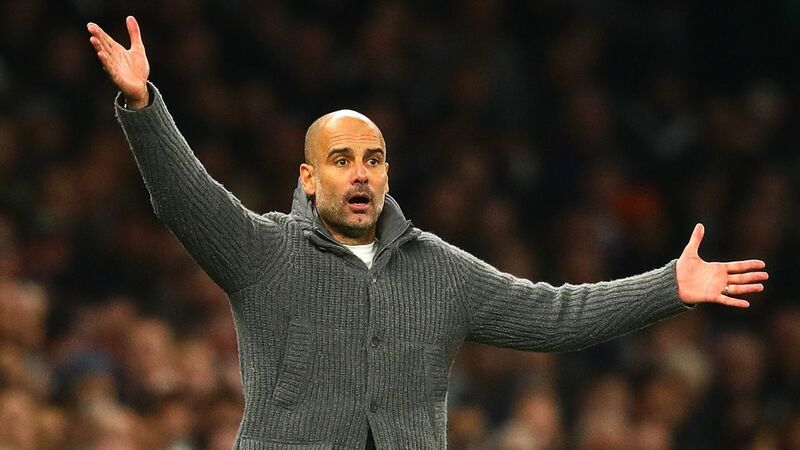 Other than Sane's distraction and the absentees -- though with City's depth, that's hardly an alibi -- Guardiola probably won't find too much fault with his side's performance. They controlled the game and created chances. Raheem Sterling up front in place of Aguero (and the currently star-crossed Gabriel Jesus) may not have yielded goals but wasn't a particular problem on the day. 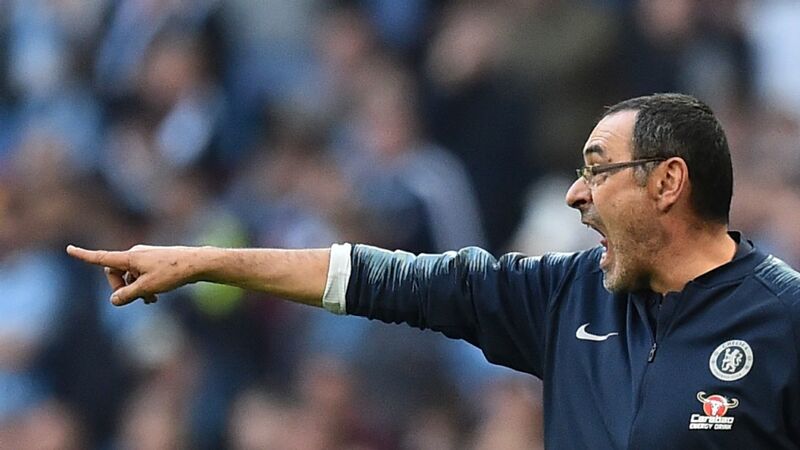 What messed City up was that, far from being the dogmatic fundamentalist that some accused him of being, Maurizio Sarri showed he can be a pragmatist too. Other than his choice to play the three little guys up front, forsaking Olivier Giroud and Alvaro Morata for Hazard as a "false nine," it was the usual personnel. 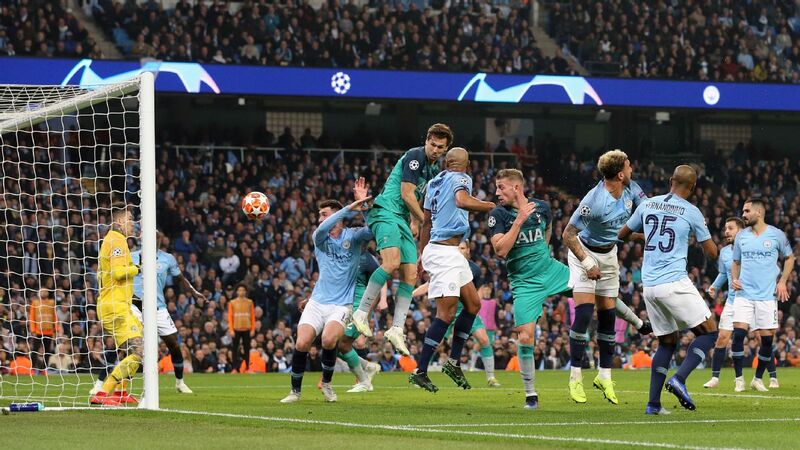 The difference is that their lines were much tighter, they didn't insist on possession, they limited their pressing to the final third and they dropped deep once City broke into midfield. Chelsea's big win over Man City on Saturday says a lot more about Maurizio Sarri's ability to switch things up than it does about Pep Guardiola's side simply having a tough day. Oh, and while I feel like I'm discussing Kante every week, let me also add this. 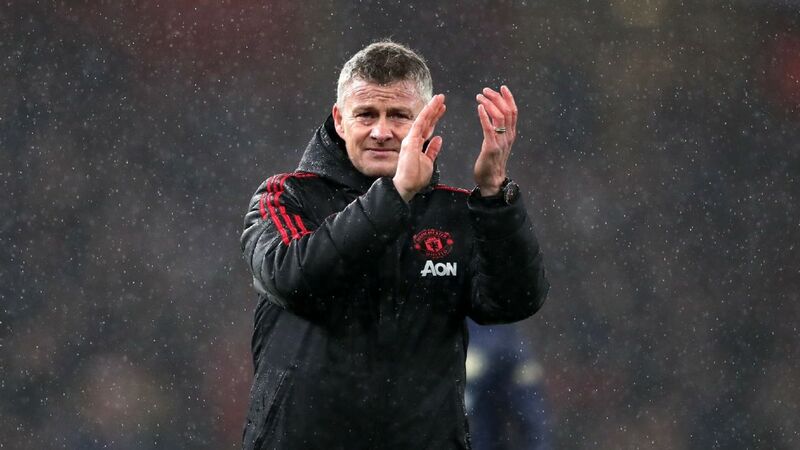 He won a title at Leicester playing alongside a purely defensive midfielder like Danny Drinkwater and then won another title the following year next to Nemanja Matic, also a purely holding guy. What's more, he had three central defenders behind him. This isn't to diminish him in any way -- he's one of the best in the world -- but rather to point out that context matters. And it's simply silly to compare Kante's positions without comparing the personnel and formations around him, as well as what the manager is trying to do. 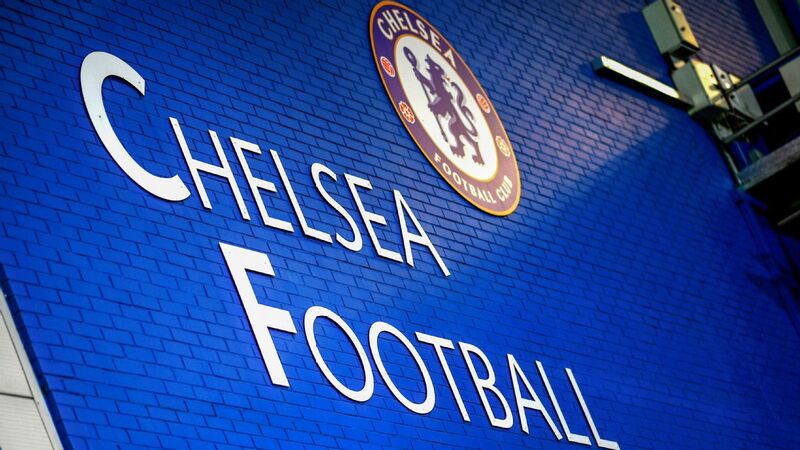 What we saw Saturday from Chelsea is not a long-term solution. It worked against City, but most teams Chelsea face aren't City, and they'll have to go back to the old game plan of high press, high block and possession. But getting a victory after the humiliation against Tottenham and the late meltdown against Spurs was important. As for City, you'd imagine Guardiola just takes it on the chin and moves on. There is a lack of physicality and heft to this side and it could have given them a different option, particularly in the second half. But again, you can't turn City into something they're not, nor should you try. They'll be just fine, once Aguero returns and/or Jesus regains his mojo. Once De Bruyne is back, they'll be more than fine, too. I am not a lip-reader, so I have no idea if Raheem Sterling was racially abused in the sequence that has since gone viral during City's match at Stamford Bridge. Police are investigating, there may have been microphones that picked it up, Sterling may have heard it (thus far, he hasn't claimed he was racially abused), and there were plenty of supporters and stewards around. You hope that if racist language was used, those responsible are named, shamed and banned. That said, Sterling took the opportunity the following morning to weigh in on the treatment he has been receiving from part of the English media and how some of the coverage fuels racism. It took 29 days, a universal downpour, tear gas, broken bus windows, hospitalized players, a 12,000-mile round trip, lawyers of every stripe, attempts to finish it in four different continents and a host of treatises about the sociopolitical nexus of football and the Argentine id (I recommend this by Wright Thompson), but we finally have a 2018 Copa Libertadores champion: River Plate. 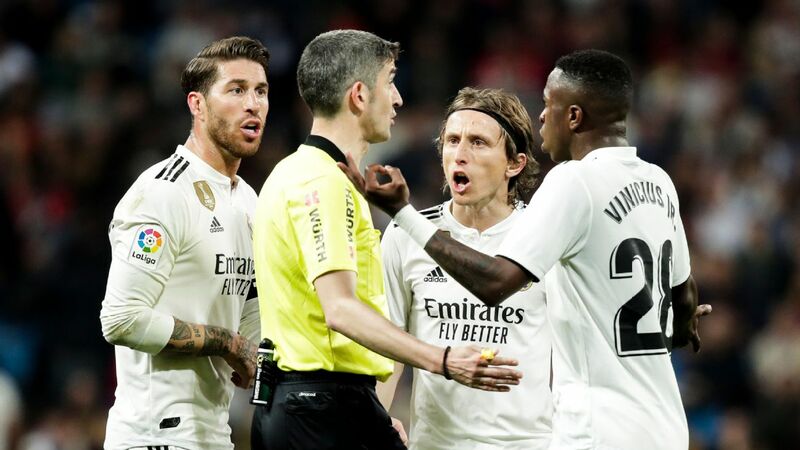 They outlasted Boca 3-1 in extra-time at the Bernabeu in Madrid on Sunday. Based on those 120 minutes, it was a fair result. River should have had a penalty when Boca keeper Esteban Andrada wiped out Lucas Pratto (and yes, they had VAR). 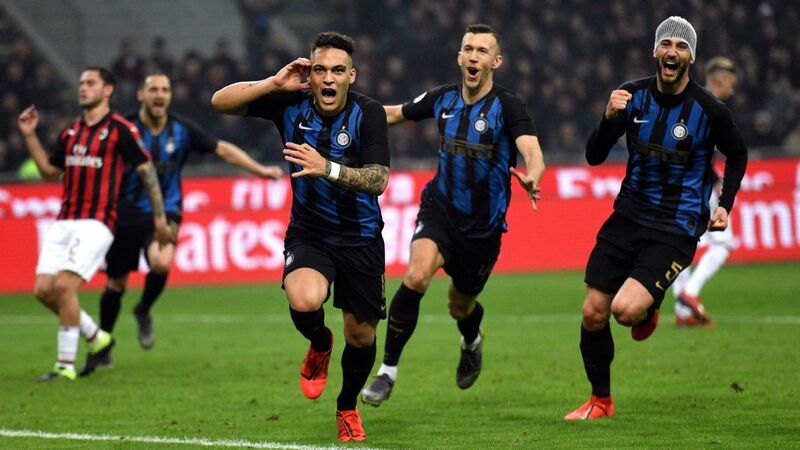 They went a goal down to a great finish from Dario Benedetto but were very much the more enterprising side against an opponent that seemed determined to do little more than gut it out. 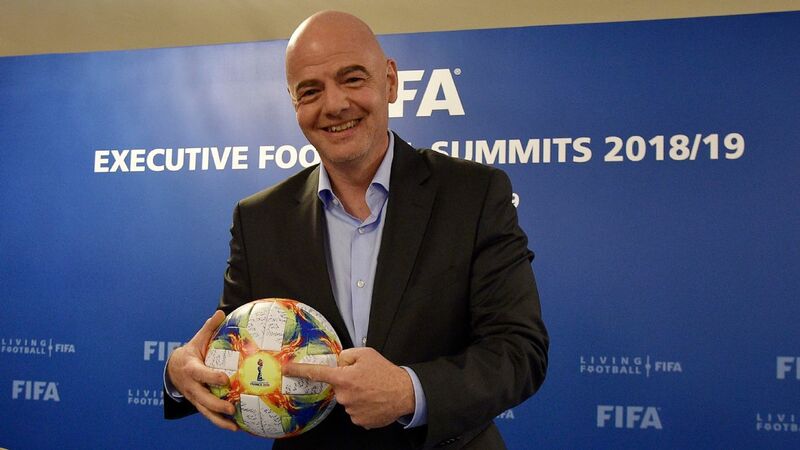 The Copa Libertadores is changing, abandoning its two-legged format. That's probably a good thing, but it would be an even better thing if they figured out how to evolve without losing the flavor that makes South American club football what it is, while still ensuring we have some semblance of order and security. Of course, that part won't be easy. Folks ranging from Gary Lineker and Catalan daily Sport (who said he "ridiculed" Ballon d'Or voters) made a big deal out of how Lionel Messi's master-class against Espanyol shows just how ludicrous it is for him to place fifth in any footballer of the year award. I'll simply refer you to this column and perhaps remind you that if we stopped taking this stuff so seriously, we'd all be better off. 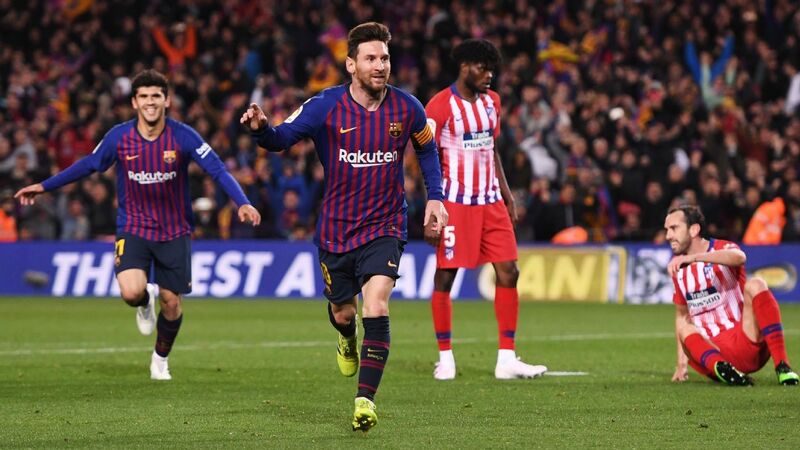 Messi served up some next-level stuff in the Catalan derby, scoring two free kick goals (the first was especially delightful), conjured up a brilliant assist for Ousmane Dembele -- if you catch the video, maybe you can figure out just how he managed to keep hold of the ball and spot Dembele's opening -- and would have had another assist if Luis Suarez's finishing hadn't been off. I don't think he was looking to make any particular statement other than trying to play his best in a potentially tricky fixture. And I wish we could appreciate him without bringing up the Ballon d'Or. Espanyol were disappointing, but from Ernesto Valverde's perspective, Barcelona played with a relentlessness we haven't seen that often this season. Throw in Dembele's growth and the fact that Suarez's return to the side was seamless, and it was a great weekend all around for Barca. Speaking of Messi, Cristiano Ronaldo talked about him in an interview with Gazzetta dello Sport on Monday, following Juve's 1-0 win over Inter on Friday night. "I'm not competing with Messi," he said. "I don't like it when I am compared to others; it's not right. The numbers do the talking -- if you look at the statistics, you'll see." "I left my comfort zone, I believed in myself and showed to everyone that I am still an incredible player. I played in England, Spain, Italy and Portugal; he's always stayed in Spain. I'd love it if he came to Italy one day, if he took on a new challenge, like I did. But if he's happy where he is, I can respect that. He's a fantastic player and a good kid." He was also refreshingly honest about the Ballon d'Or, dispelling (at least in words) one of the most commonly held beliefs about him. "I think I deserve it every single year -- that's what I work for, but if somebody else wins it I can live with it and respect the decision," he said. "I did everything I could to win it, but I am no less happy if I don't win it." Man United look good, but is Pogba really the problem? Paul Pogba was dropped (again) and Manchester United raced to a dominant 4-1 win over Fulham. 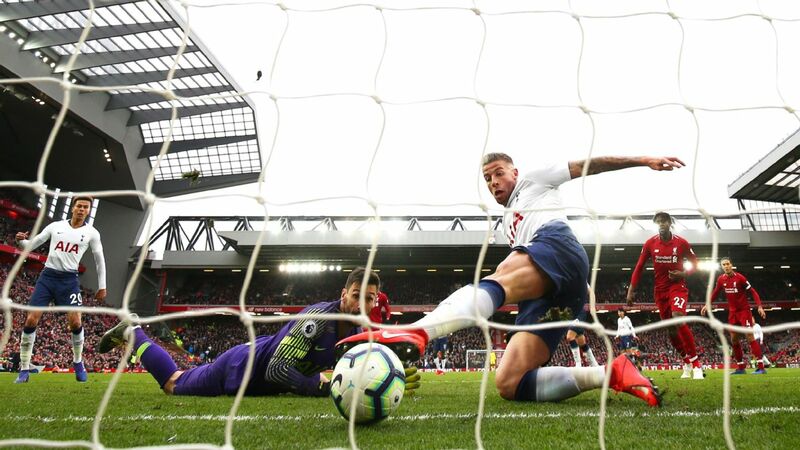 It was a turn-back-the-clock-type performance as they showed the intensity, precision and swashbuckling spirit we have rarely seen post-Sir Alex Ferguson. You obviously take it with a grain of salt -- there's a reason why Fulham are bottom, with just a single point on the road, while correlation and causation are two different things -- but seeing United score four goals at Old Trafford for the first time in more than a year with this galvanizing display is undoubtedly a shot in the arm. 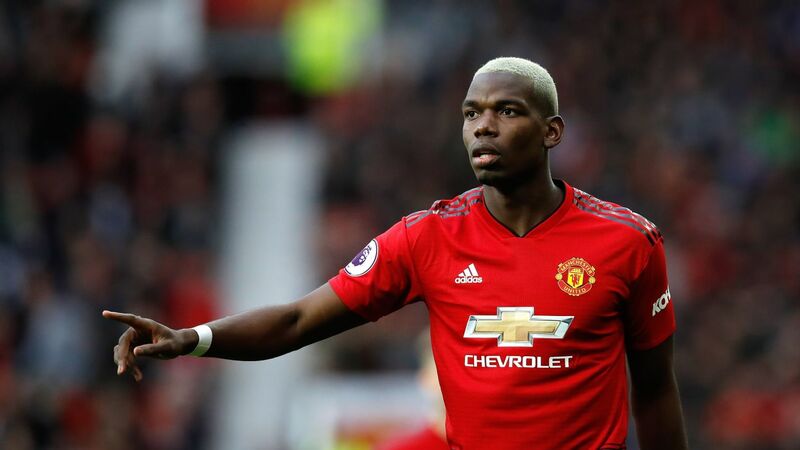 My colleague Mark Ogden argues that given the dearth of quality in this United side, Mourinho is justified in dropping Pogba right now, because he's at his best when he's surrounded by talent. I'm not sure to what degree I'm with him. 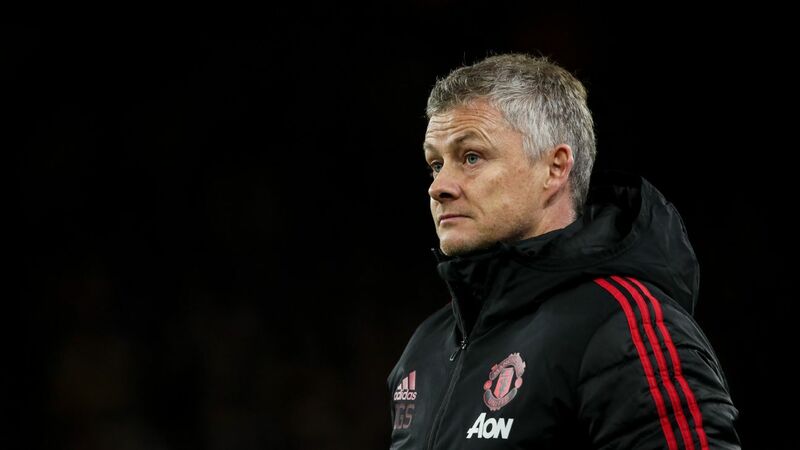 United's squad is far better than their results and Mourinho isn't really a "system" manager: He needs individuals to produce out of nothing, which is something Pogba can do. My guess is that assuming they're both here at the end of January, we'll see the umpteenth rapprochement between the two. Weirdly, each needs the other more than they perhaps realize. The numbers say Borussia Dortmund made it five straight wins in the Bundesliga after downing Schalke 2-1 in the Ruhr derby. A closer look reveals they might be slowing down somewhat. They looked a little languid, a little more fatigued and a little more labored against a Schalke side down to their bare bones in attack, with Mark Uth and Breel Embolo both sidelined and Guido Burgstaller subbed off after half an hour. No matter. 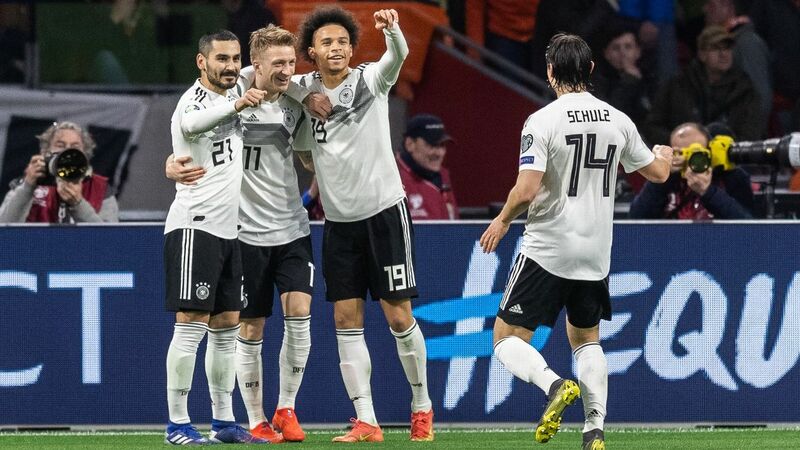 They took an early lead and after Schalke equalized on a VAR-assisted penalty, they grabbed the winner with another bit of magic from Jadon Sancho. That's the thing about Dortmund this year: They seem to be able to beat you in so many different ways, depending on the situation and the opponent, regardless of how well (or not) they are playing. You do get the sense, however, that the winter break can't come soon enough. 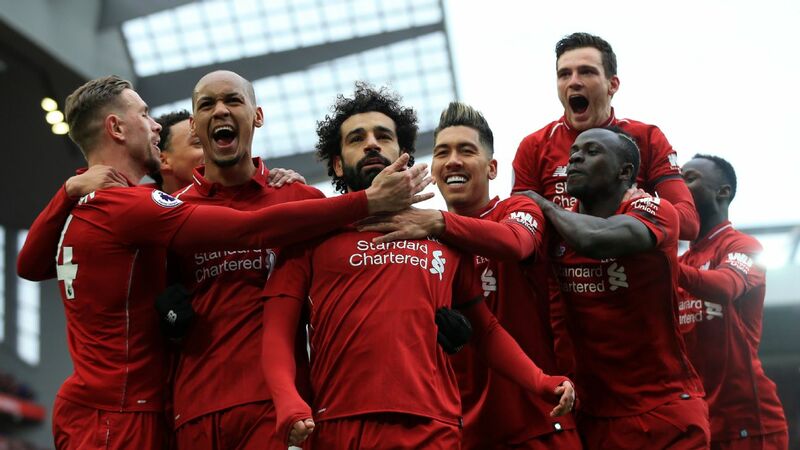 Liverpool's 4-0 romp away to Bournemouth sent them to the top of the Premier League, where they remain after Man City's defeat. You can get sniffy and point out that while Mohamed Salah's hat-trick was great, the first goal was offside, the other two were on the counter and Liverpool's fourth was a freakish own goal. But equally, it was an upgrade over recent performances when Liverpool managed to get results without firing on all cylinders. And that's important too. So is the fact that the victory comes a few days before that colossal do-or-die clash with Napoli in the Champions League. Following the performance at Burnley, this was a classic trap game and Liverpool again passed the test. Real Madrid's trip to Huesca at the bottom of the table was very much a business trip. 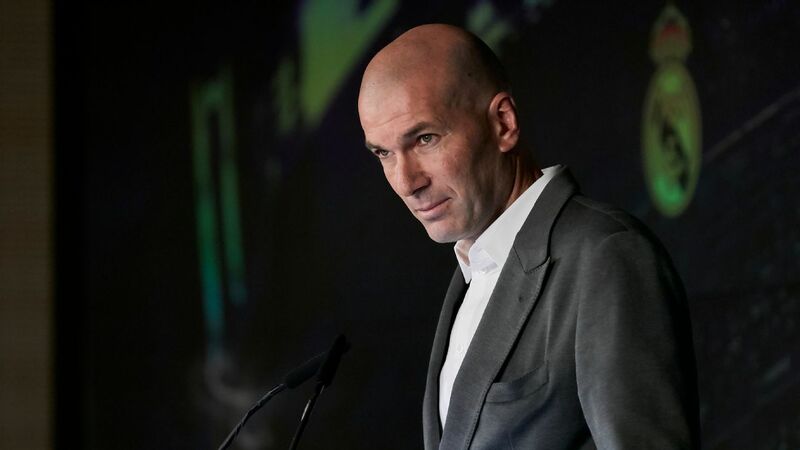 Without Casemiro, Toni Kroos and Marcelo, Dani Carvajal switched to left-back and Isco and Marco Asensio again not in Santi Solari's XI, they scored early with Gareth Bale (his first in more than three months) and then set out to manage the game. 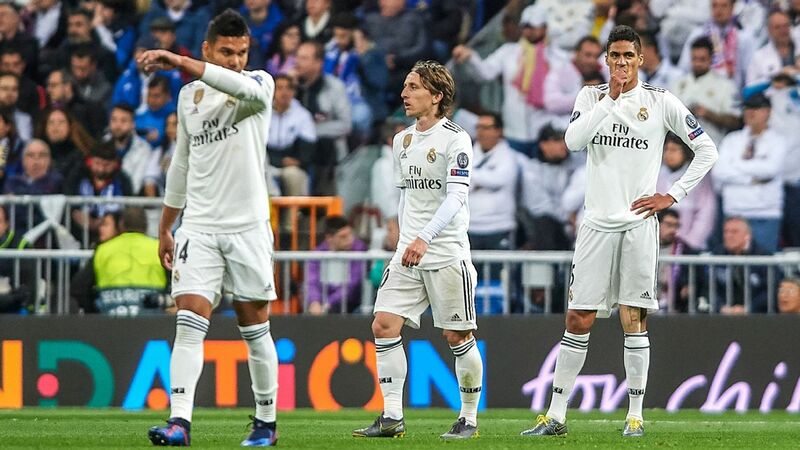 Except these days, even that is tough for Madrid, even against a side that has taken just three points in the last 12 games. Thibaut Courtois made some big saves and Gonzalo Melero squandered a sitter for the equalizer. The result mattered most but they need to pick up the pace. And in double-quick time. 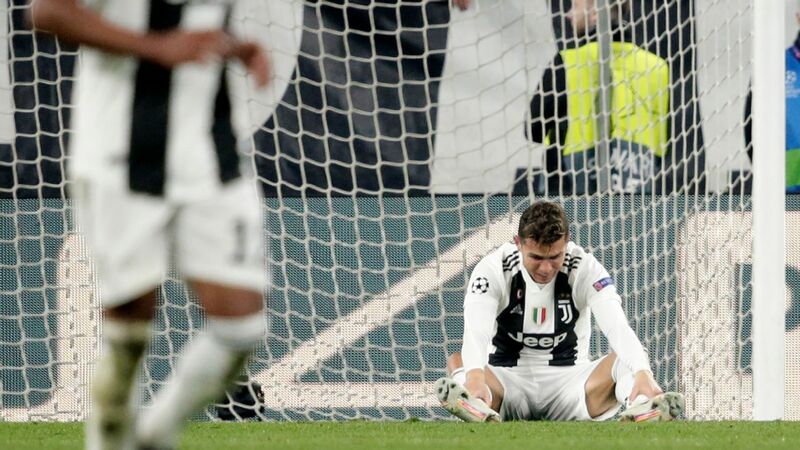 Concede an equalizer against nine men in the sixth minute of injury time and you know you'll get hammered for it, particularly when you were 2-0 up with five minutes to go. The wild ending in Roma's 2-2 draw at Cagliari -- a highlight of a generally nutty Serie A weekend that saw two other injury-time equalizers, in Fiorentina's 3-3 draw at Sassuolo (96th minute) and Sampdoria's 2-2 draw at Lazio (99th minute, resulting in this) -- led to the club calling a ritiro. Basically, the act of keeping the players under lock and key at the training ground until the next fixture. It's the sort of thing Serie A teams did in the 1970s and 80s and it feels rather outdated today. Yes, when you have two extra guys on the pitch, you should never concede because there will always be two guys open and you ought to have no trouble keeping the ball. A collective defensive brain fart and a great run and finish from Marco Sau negated that; it's not something that will be fixed by keeping the players cooped up. Are Bayern finding the stability they need? Bayern won their second straight Bundesliga match, with a 3-0 hammering of Nurnberg and perhaps most significantly, they did it with an unchanged XI. One of the criticisms direct at Niko Kovac were his frequent changes, perhaps aimed at trying to keep everyone happy. You don't want to get carried away but perhaps he has found some stability, particularly at the back, with Rafinha on the right, Joshua Kimmich in midfield and Niklas Sule joining Jerome Boateng in the middle. Whether it's viable in the long run remains to be seen -- it feels like less of a ball-playing side and more of an up-down, athletic side -- but right now what Bayern needs most is stability. Plus results, of course, and this win allowed them vault into third place. Bas Dost scored twice for Sporting in their 4-1 home victory against Aves, which keeps them second in the table, two points behind leaders Porto. Having missed 10 weeks of the season, he nevertheless has eight goals in seven league appearances. Overall, he has 11 goals in 11 appearances across all competitions.